If you follow me on twitter (@lebeautygirl), you may have seen me tweet about placing a cheeky little Elf order when they were offering 50% off everything. It had been a while since I bought anything from Elf so I was excited to open the box full of goodies. Don’t worry, I’ll be doing separate reviews of everything I got to let you know if it’s worth buying or not. 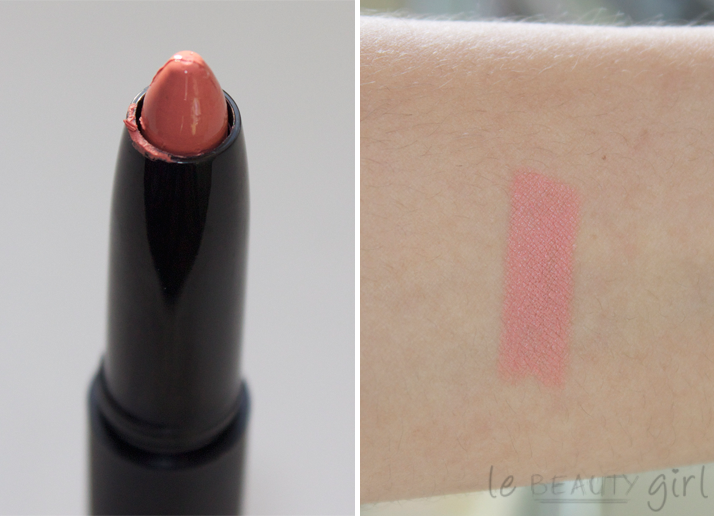 First off, the Matte Lip Color is Coral. 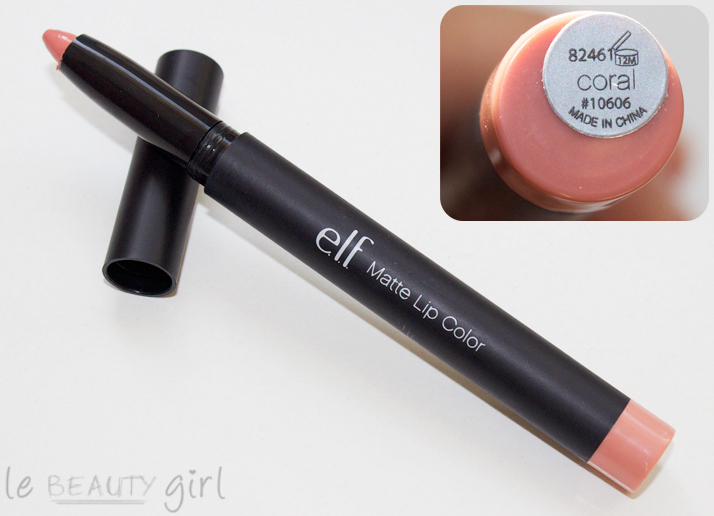 Elf Matte Lip Color is a jumbo sized lip pencil from Elf’s studio line. 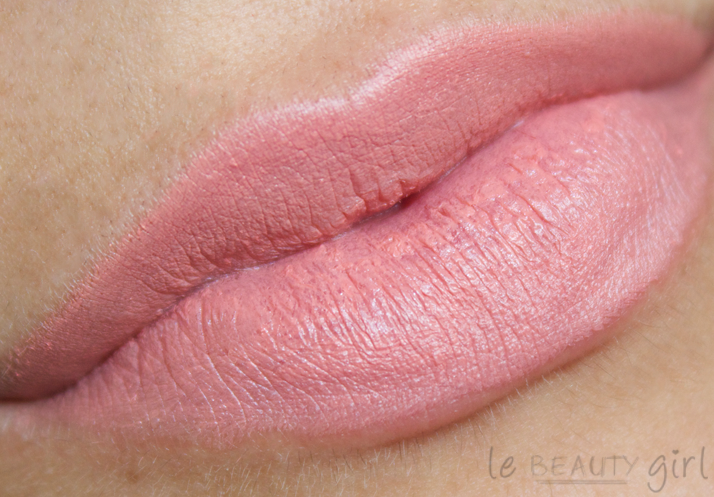 It’s super pigmented and according to Elf, it contains Vitamins A, C and E which moisturises and hydrates the lips. When I first tried it on, I thought it was a little bit drying on my lips and it enhanced my dry patches. On the bright side, I was pleasantly surprised by its pigmentation and lasting power; it doesn’t come off easily and it survived a few cups of tea (always a good sign!). As the name suggests, ‘Coral’ is a lovely coral-pink shade that on my lips looks like a very natural ‘my lips but better’ kind of colour. I’ve included a picture of my lips with no lipstick on so you can compare and see how pigmented they are naturally. I have quite pinky-red lips, so the Lip Colors will look different on you if your lips more or less pigmented than mine. Overall, I’m happy with the Elf Matte Lip Color in Coral and I can see myself wearing this a lot as an everyday lipstick or for an evening look if I want to play down the lips a bit. It’s highly pigmented and long lasting, but be careful if you have dry lips, as it does cling on to dry patches; I recommend exfoliating your lips and applying a clear lip balm before putting on the Matte Lip Color. I have Coral, Praline, and Tea Rose and wear them all the time. Great coverage, long lasting on the lips, and comfortable. You can apply gloss over them for a shiny look, if you don’t want the matte finish. I love them.